Boutique hotels lovers are spoilt for choice in London – from Blakes, one of the first ever boutique hotels, to the clean design hotel, the Hempel, the spacious apartment suites at No 5 Maddox street to budget boutique hotel Base 2 Stay, there is a Hip Hotel in London to suit all budgets. Find a stylish small boutique hotel in London from the Hotique Hip Hotels Guide. The Hempel – Beautiful, clean design, Mouthwatering I-Thai restaurant – Small, hip, luxurious & design-led. 5 star hotel. No 5 Maddox Street - offers space, design & all the comforts of a home for the price of a luxury hotel bedroom - live, work, eat, relax, sleep and entertain in complete freedom. 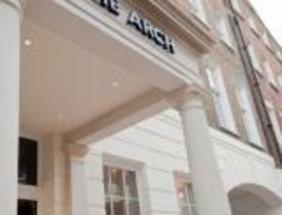 All suites include living, dining and work areas making No.5 a luxury hotel alternative just off Regent Street. 5 stars. The Rookery – On the edge of the City, the Rookery offers all period charm. Polished wood panelling, stone-flagged floors, open fires and genuine antique furniture give the place a homely atmosphere, more private club than hotel city - located just outside the Square Mile, London's financial district. Blakes – The original boutique hotel in London, designed by Anouska Hempel with truly individual rooms, sumptuous fabrics & an award winning restaurant. 5 star hotel. 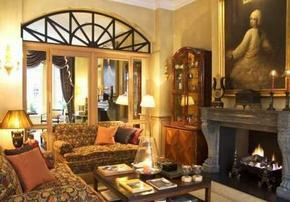 View our featured hotels in London below or search for a boutique hotel in London. Design Hotels in London - from Hotique. Romantic rendezvous, Honeymoon or just a sleek city break? Modern & contemporary or Period charm? Find your perfect hip hotel in London.